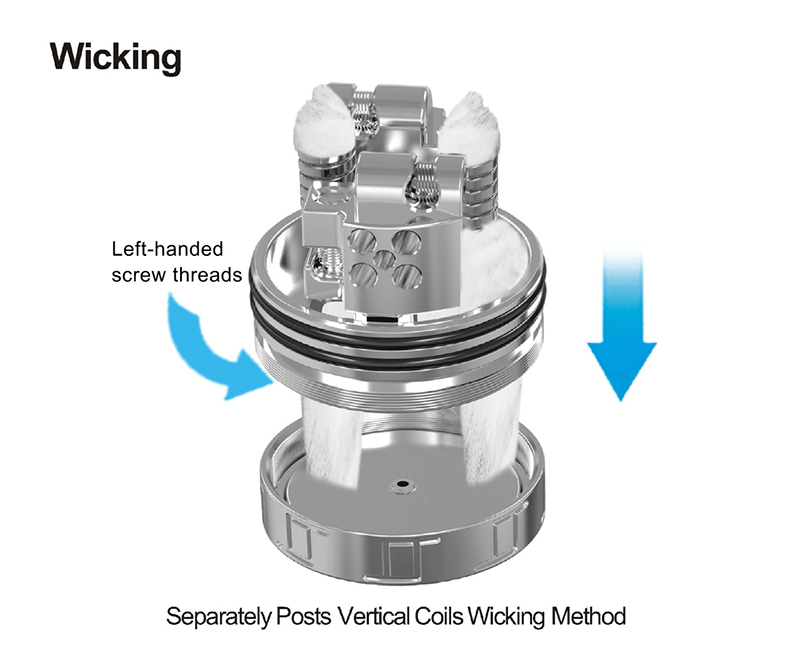 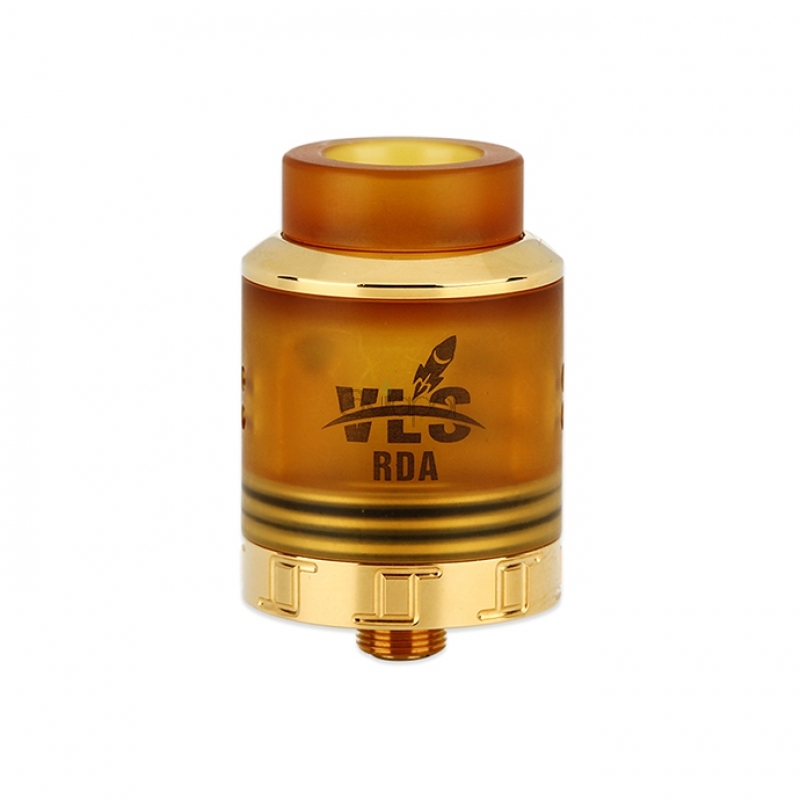 Oumier VLS RDA is an innovative rebuildable dripping atomizer. 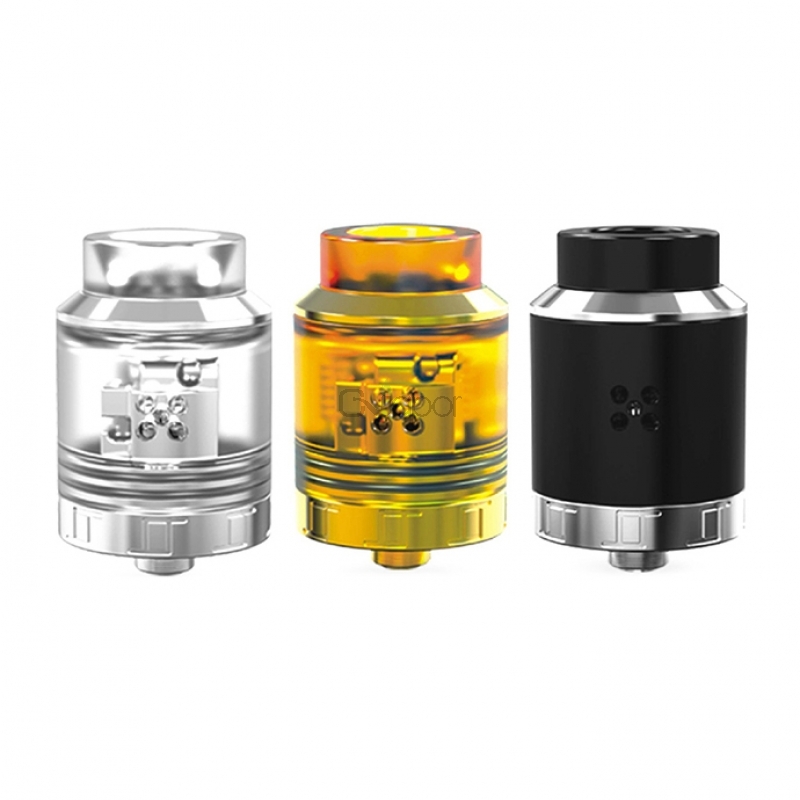 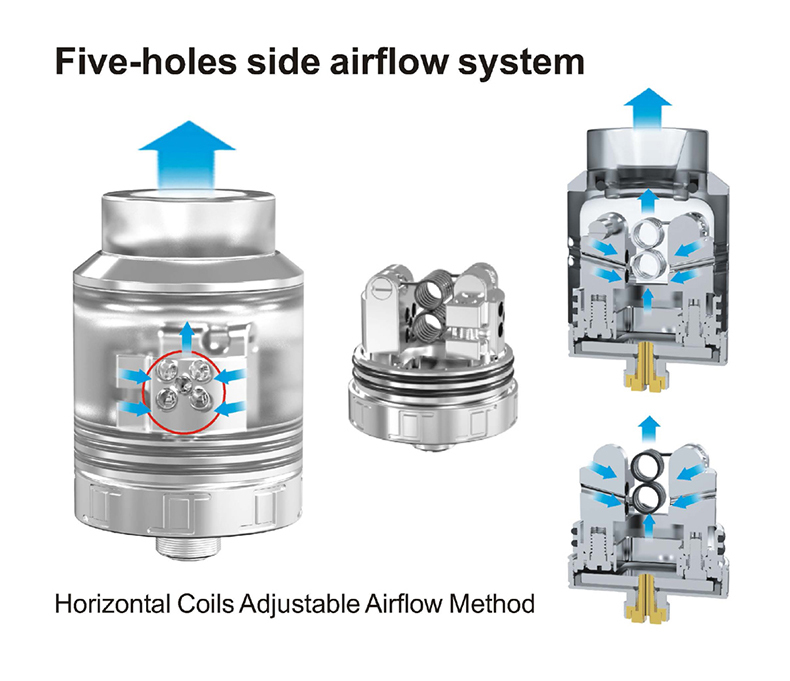 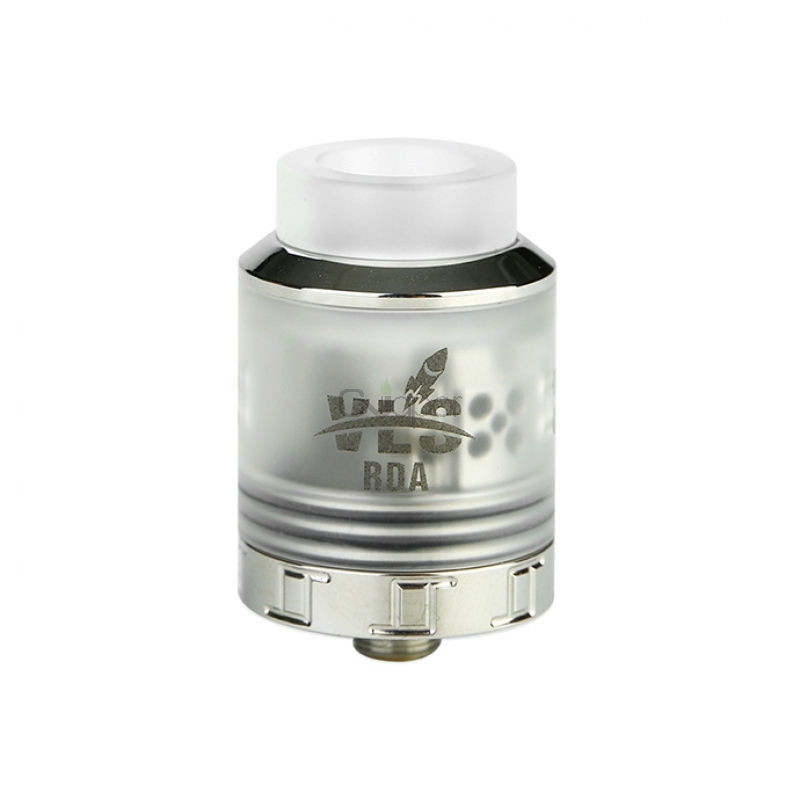 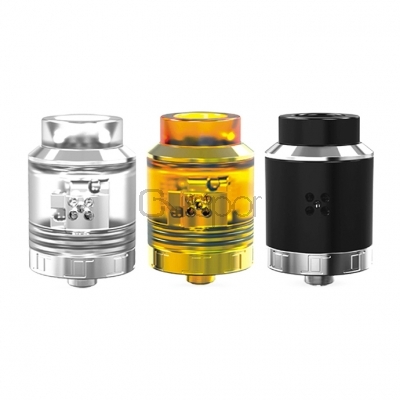 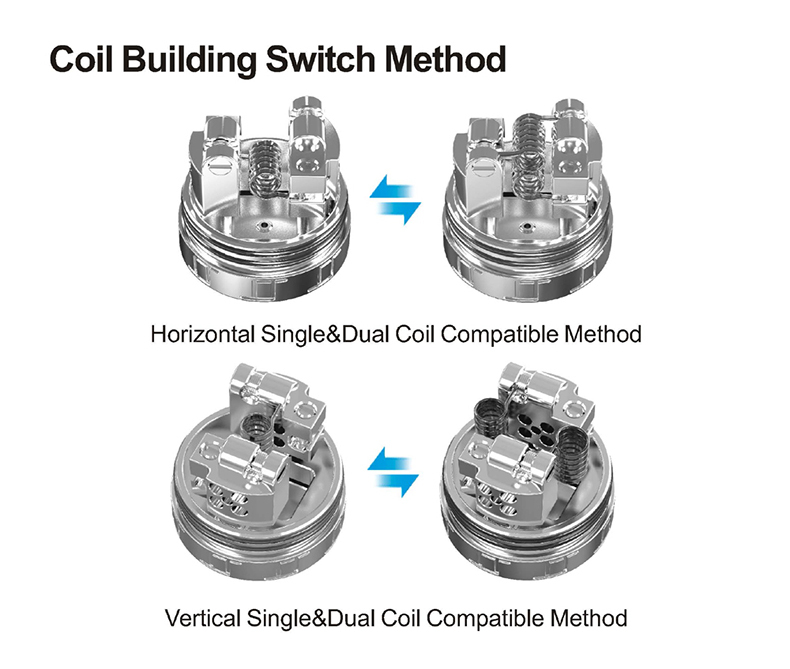 It features a unique build deck which is suitable for vertical coil/transverse coil and supports single coil/dual coils building and wicking. 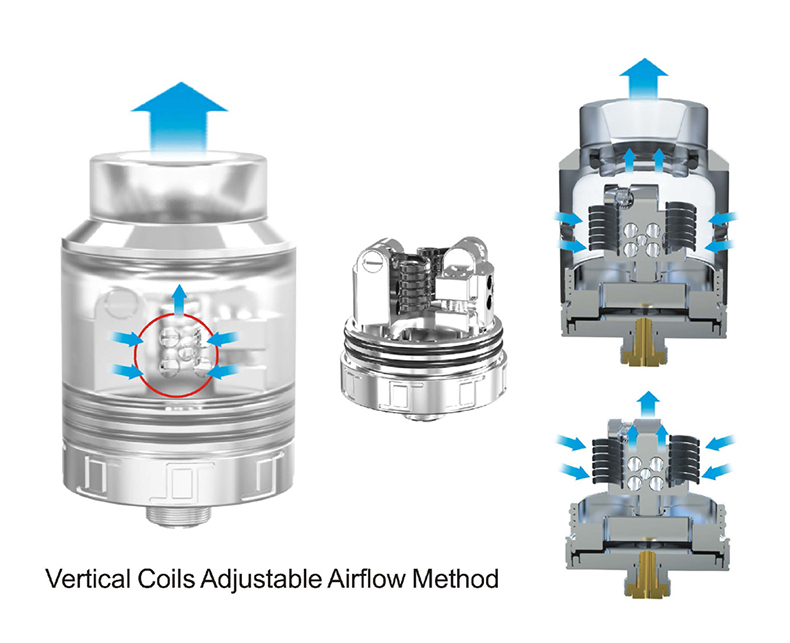 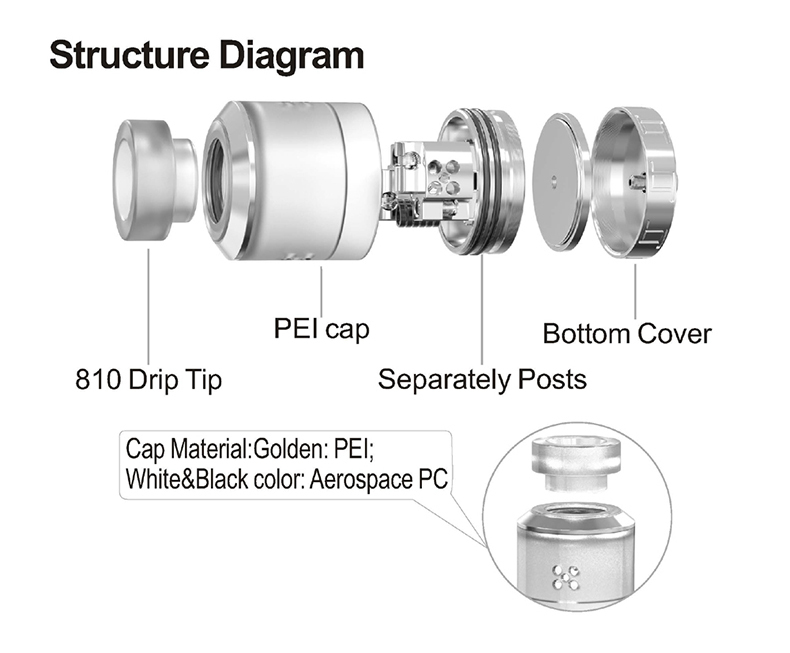 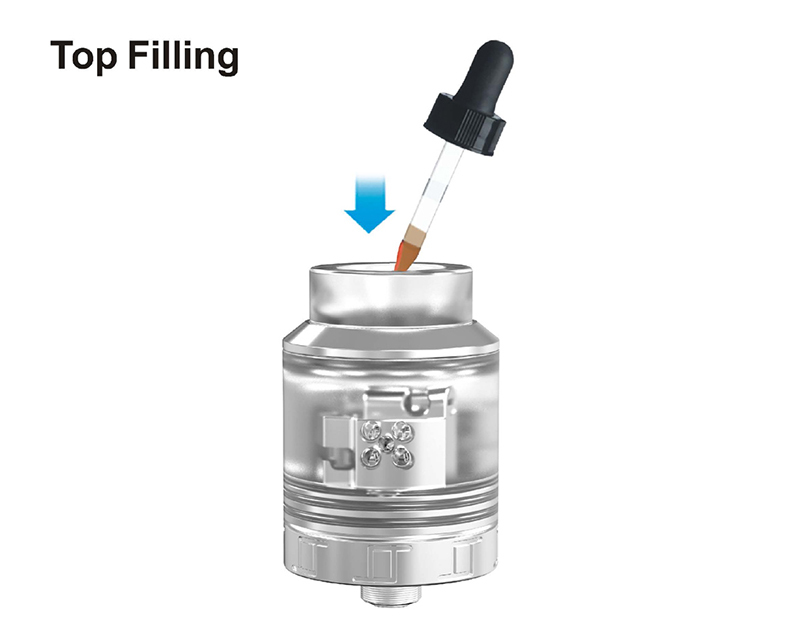 The atomizer utilizes adjustable airflow system with five holes, bringing you nice flavor and massive clouds. 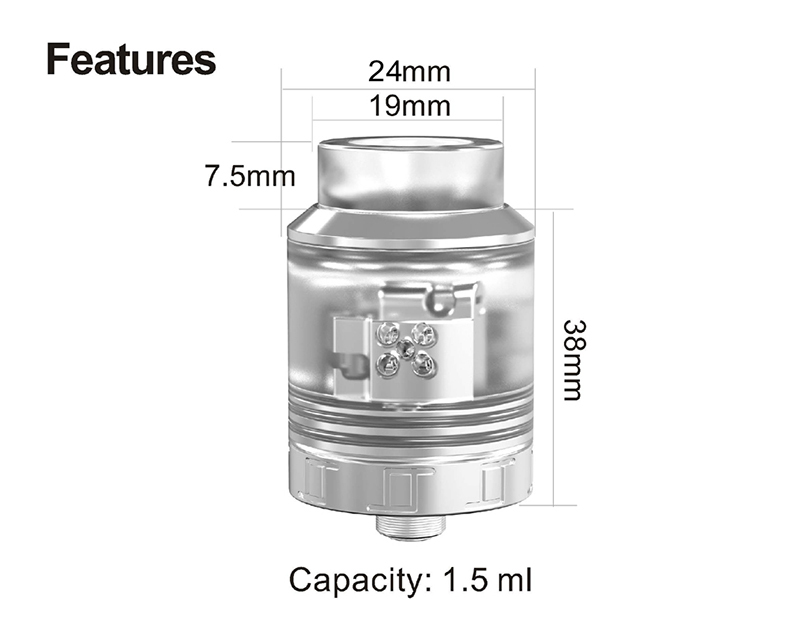 It has 1.5ml capacity (with a deep juice well) and adopts top filling design. 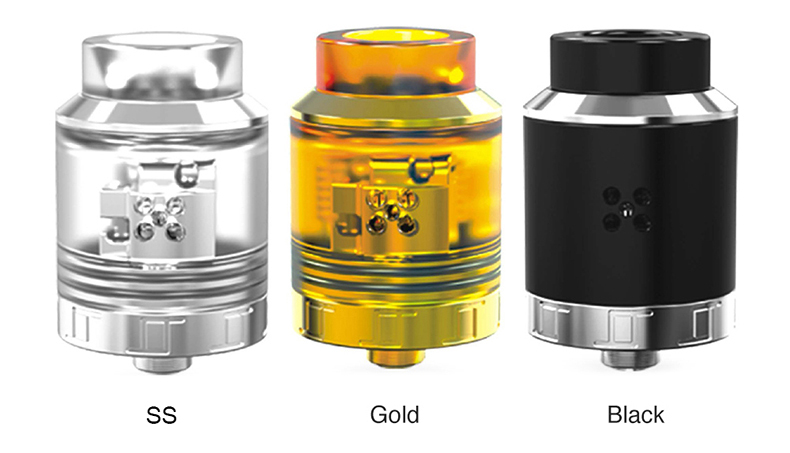 Available in Black, Gold, SS. 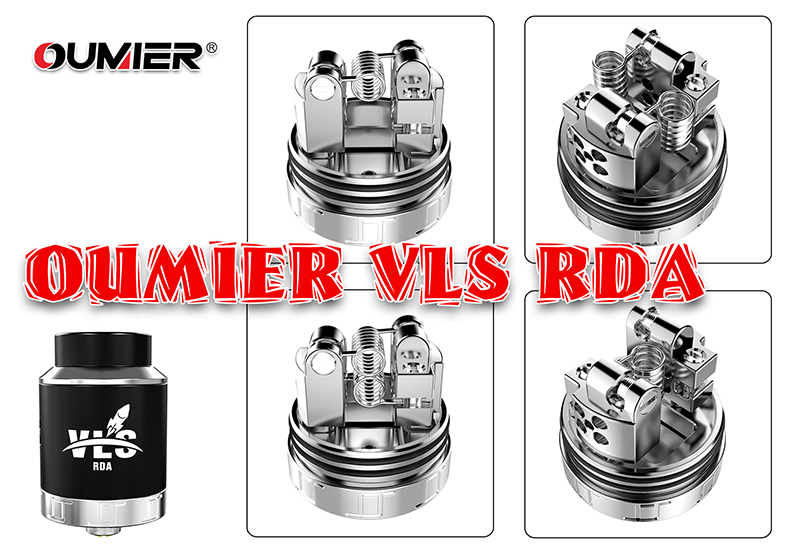 Three Months warranty period for Oumier VLS RDA.